Leading Manufacturer of cladding sheet from New Delhi. 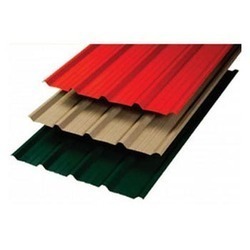 We are leading manufacturer and supplier and a wide range of supreme quality Cladding Sheets. These are very stable and durable. These are multi coated and leak proof. These are designed keeping customer concerns in mind to ensure best possible roofing solutions. The use of cutting edge technology and advanced machines enable to deliver a range of supreme quality. These are very durable and available at very reasonable prices.